We’re all fans of creatures great and small here at Crafty monkey (except mosquitoes- nobody wants to pet a mozzie). Many of our customers are like minded and our range of animal pottery is very popular. From the crazy cat lady (a self-awarded title, so she won’t be offended) to the little girl that has exhausted our entire horsey range- we have something for every animal lover. Often people will come along looking for gifts for their friends; we can usually accommodate their requests for various creatures to paint up ready to sit on the shelf with the rest of their collection. The lovely thing about our animal ornaments is that they can either be painted or decorated with foam clay, which is a lovely squishy material for younger customers to really have fun with! We especially love the animal creations of the kids because they break the rules and make us smile every time. Currently, I’m looking at a display of animals ready to be picked up by their owners. These include a purple koala and a green horse with pink hair…and why not! Another animal related offering that Crafty Monkey is famous for are our parties. We have a huge range of party animals for the children to choose from and our Build a Bear parties are a big winner every time! Come and have a look around the studio and see what animal antics you can get involved with- whether it’s paining a horse for your neigh-bour, having a hoot with an owl or monkeying around with, erm, a monkey; we’ll be pleased to see you! 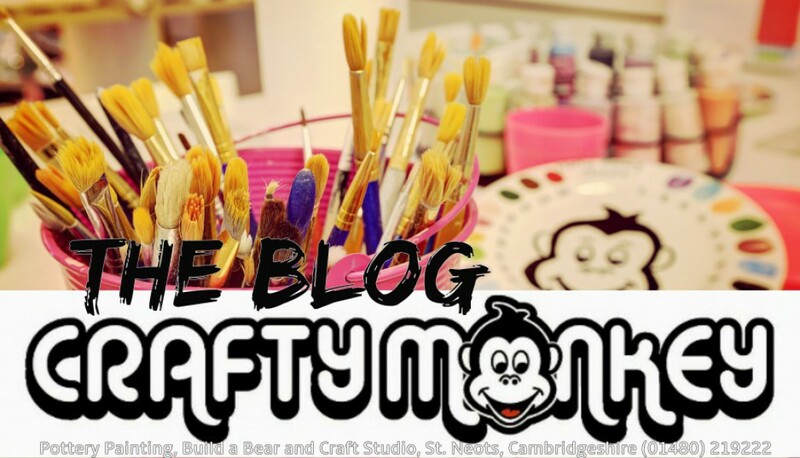 Did you know that if you come along to Crafty Monkey in a group of at least six mums and tots, you’ll all get a free studio fee? Lots of people take advantage of this offer and we’ve had many NCT groups and gatherings of friends who all have children and want to come and get Crafty together while saving money. There’s loads to choose from and we’re experts at getting those clenched fists and wriggly little toes onto pottery! If you have slightly older children- they may want to paint Daddy a mug or a plate all by themselves.